Before we get to the comics, I wanted to briefly profess my love for Sideways Stories From Wayside School. My lovely mother is a 2nd grade teacher. I’m pretty sure she told me to read this book several times when I couldn’t get my head out of the comics as a child. Mom, I just read it 30 years later, and it was awesome. For any of you unfamiliar with this series of books, Wayside School is 30 stories high, with only one classroom on each level. If you’re looking for the 19th floor, or Miss Zarves, you won’t find them. The book is written for children to enjoy, but I believe author Louis Sachar wrote this story for parents to read to their children, or a teacher to her students. This may have been one of my favorite homework assignments in my scholastic history. I write about what I read every Wednesday. One thing I don’t really touch on is comic books I currently am not reading. The other morning I woke up from a dream where I think I was Fantomex? You just had to be there. I own his first appearance (New X-Men #128), but haven’t read a lot of stories involving the character over the years. Specifically, Rick Remender’s Uncanny X-Force is a series I wish I snagged when it dropped monthly. I just paid less than $20 for it on eBay the other day. I have a hard time finding good deals on collections using eBay. Sometimes it works out pretty well. Two other series I am looking forward to reading are Black Science, also written by Remender, and East of West, written by Jonathan Hickman. A few years back I decided to broaden my horizons and read more independent comics not necessarily related to your common superhero tropes. Science and EoW were two of the first book I snagged based on: a.) the writer, and b.) the cover. Black Science appeared to be a space opera. East of West looked like a Mad Maxian, future-western. I’ve avoided being spoiled on either of the books, but from what I hear, I’m a little right and a little wrong. I’m waiting on the right rainy day to kick in on these titles. It’ll happen and you’ll likely read about it. This week’s entry focuses on the ‘now.’ It’s where my head is on this lovely Wednesday. There are several books released today that a lot of you should be reading. (Budget-shmudget.) I never complained last week about the light load. I knew this stack was looming. I feel as though I’ve expressed my opinions on a majority of these titles in previous entries. So rather than get too far into how smokin’ Future Imperfect is, I’ll just do ‘quick hits’ on every single title I’m snagging today. Whoa, I just noticed there are zero DC titles on the list. Insane. Oh wait! No, I lied. Mad Max Fury Road: Max #2 is published through Vertigo. That counts. Shew. I was sad that I have cut enough of the DC confusion out of my comic budget (shmudget) to go a week without anything from DCYou. I’m still a DC-kid at heart. I’ll start with Marvel. ‘Quick hits,’ remember? All-Secret Wars, all-week. Okay, Age of Apocalypse #2 is first up. It’s pretty simple here. If you never read the original, you’ll have no clue what’s going on. However, if you are a fan of Doug Ramsey aka Cypher from the New Mutants stories, pick it up. I’m not sure what’s tied into Secret Wars quite yet, but issue two should pull back the curtain a bit more. Civil War #2. Um, I can’t remember much from the first issue except that the premise of the story is as if the original Civil War never ended. There was this meeting between Captain America and Iron Man that was their first face-to-face in years or something. There are stakes, I just can’t remember. Thank goodness for the classic Marvel recap page. Darth Vader may be the one comic in this pile that any fan of Star Wars should be reading. This book has already solidified a spot in my Top Ten Comics of 2015. Stoked to read issue eight. Oh yes, Future Imperfect is the ‘bee’s.’ Peter David’s Hulk stories are the best. You know how Dr. Doom is all in control of Battleworld and whatnot? 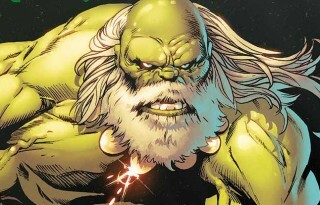 Yeah, well The Maestro (Hulk) wants Battleworld for himself. So he, The Thing (not Ben Grimm), Ruby Summers (daughter of Scott Summers and Emma Frost), Layla Miller (duh, it’s Peter David doing whatever he wants) have to decide whether they can all work together and overthrow Doom. I hope this sounds bizarre to you. 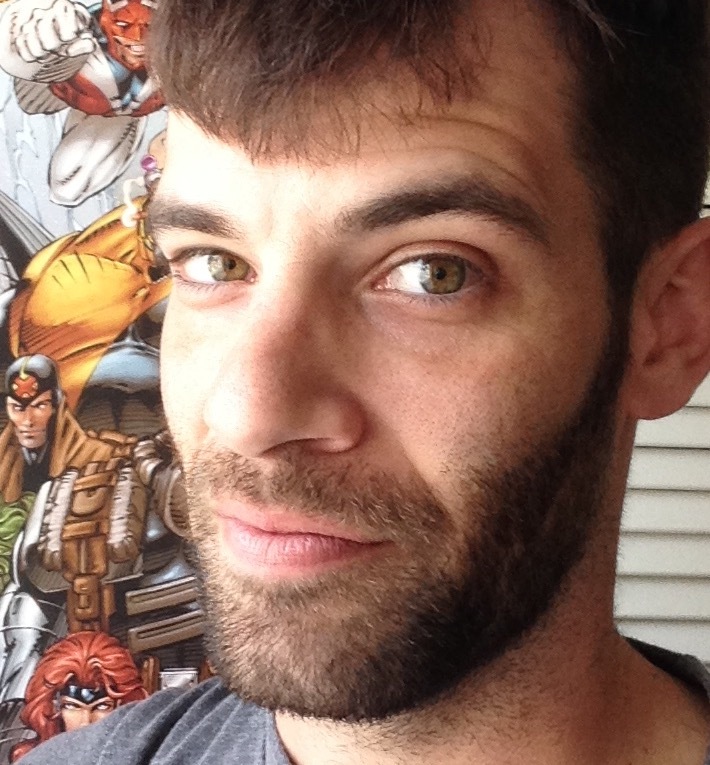 Who doesn’t love the art of Skottie Young? I had the pleasure of meeting him last year at Megacon. I was onto his drawing game over ten years ago during the wave of comics Marvel released under the ‘Marvel Tsunami’ tag. His style has become more refined and it’s now everywhere. I can’t wait for I Hate Fairyland in October from Image. But until then, Giant-Sized Little Marvel: AvX is holding me over nicely. I read that this title is going to be one of the more pivotal titles in Secret Wars. If that’s the case, I’m looking forward to see how. Guardians of Knowhere, as I have previously stated, was set up perfectly by Brian Michael Bendis. Top of the stack comic here, folks. Infinity Gauntlet follows the ‘Nova Family?’ Beautiful art. Spider-Island better contain Mary Jane in her ‘Spider-Island costume’ in issue two. Ultimate End is about the end of the Ultima– Oh, you get it. Switching to the indies, Brian K. Vaughan’s We Stand On Guard was a pleasant surprise last month. Big, American-robot assholes have ravaged the Canadian countryside making sure no one is left. But there are survivors. They have to rebel, right? Kaptara is another book I’ve gushed over. Chip Zdarsky is hilarious. Mark Millar is considered by many to be a hit-or-miss creator. Jupiter’s Circle expands the universe established in Jupiter’s Legacy. Instead of how the original heroes came to be, it picks up right in the middle of the chaos. It’s pretty wild. 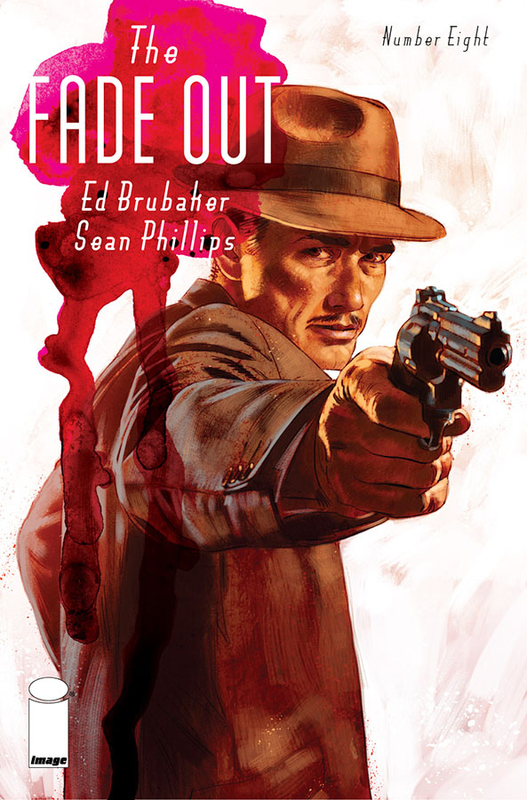 I hope The Fade Out gets a second volume. I think of L.A. Noire whenever I think about this book. Oh, the game that could have been. Well Fade Out definitely isn’t disappointing. Hollywood murder mysteries rock the house. Earlier I mentioned a few “projects” I keep within my collection (Black Science, East of West). Deadly Class is not only another one of my projects I’m working to read eventually, but it’s written by Rick Remender as well. Geez. I think I might be doing these books and the writer a disservice by not reading them. Should I start with the Remender stuff? Or East of West? I still need to shelf those. I have fifteen powerful titles to tackle this afternoon, or evening. I cranked out homework into the wee hours last night leaving me with not a lot to do this afternoon but read. And meet with “Dr. Tom” to discuss what’s in store for future episodes of MattyLovesPodcast. I made a tentative schedule. October is shaping up to be a super-fun month of episodes every Friday. Enjoy your day. Read some comics, or at least read about some of these titles and maybe they may appeal to you.